Acne rosacea is a chronic skin condition characteristic of small, acne-like bumps on the face. This is often accompanied by redness of the facial skin, including the cheeks, nose, and eyelids. While the exact cause of acne rosacea is unknown, it is believed to be a result of genetic heredity, immune disorders, and even bacterial infections. 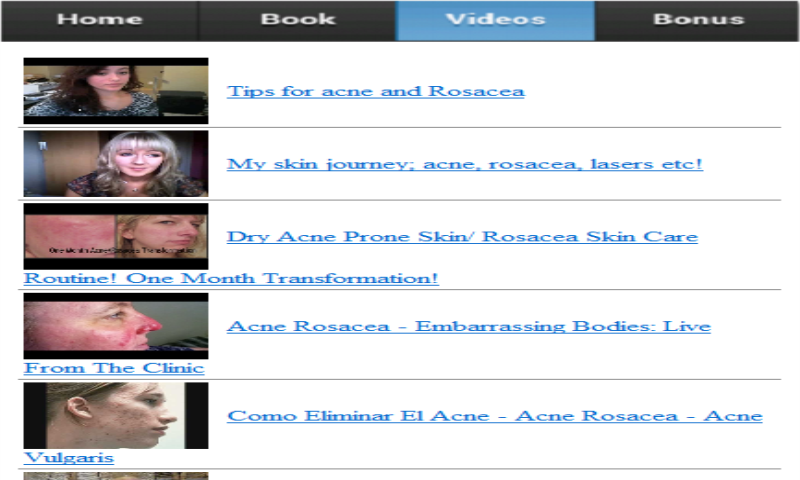 This FREE Application answers the following questions, What Is Acne Rosacea? 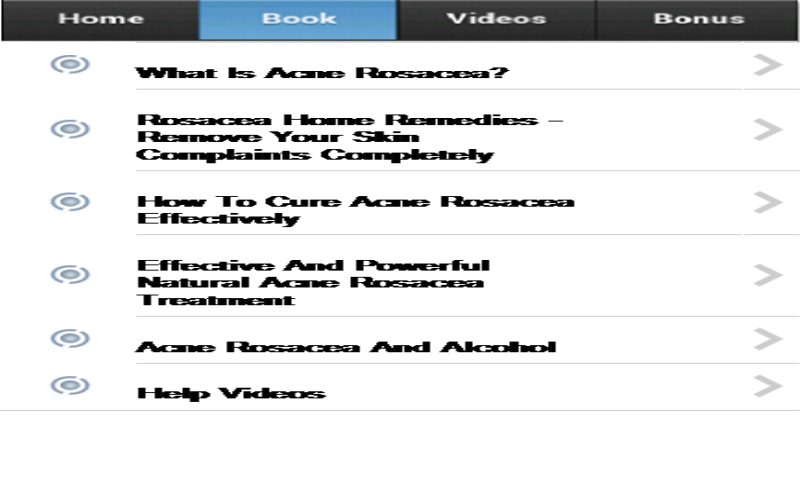 Rosacea Home Remedies - Remove Your Skin Complaints Completely How To Cure Acne Rosacea Effectively Effective And Powerful Natural Acne Rosacea Treatment Acne Rosacea And Alcohol DISCLAIMER: The content provided in this app is hosted by YouTube and is available in public domain. We do not upload any movies to YouTube. This app is just an organized way to browse and view these YouTube Videos. We do not hold any responsibility for copyright Violation too.